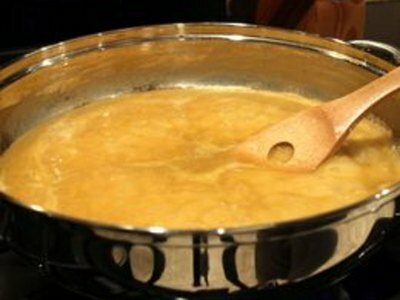 Gravy is a favorite sauce for mashed potatoes, roasts and other homemade dishes. 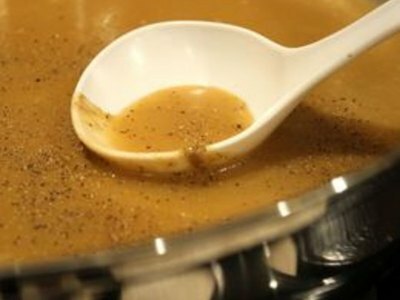 This gravy recipe is very simple to make and only takes about 10 minutes. The magic ingredient is meat drippings. Meat drippings are the juices from the cooked meat that collect in the pan. 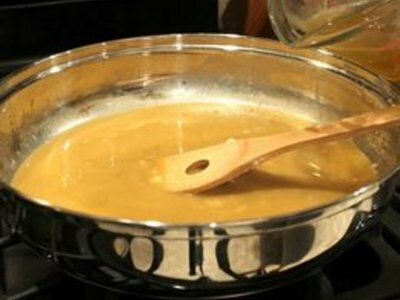 You can use any kind of drippings to make gravy, and to match the flavor of the meat you have cooked. 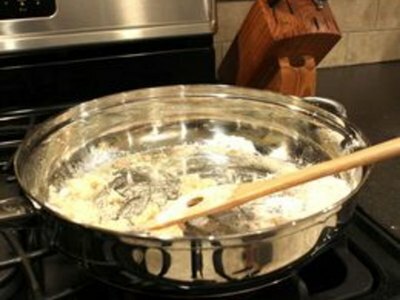 Heat the saucepan on a low heat. Put in the meat drippings. Add the flour. Quickly whisk using the wire whisk to make the liquid and flour into a paste. Add the broth slowly to avoid lumps while whisking at the same time. This will help you to avoid burning the gravy. Cook until the mixture thickens. Remove from heat. The gravy will get a little thicker as it cools. If you get lumps in your brown gravy, you can put it in the blender to make it smoother. Meat broth can be gotten from the cooked meat you got the drippings from, or bought in the cooking section of your grocery store. The type of meat you got the drippings from should match the type of broth you use. For example, if you used beef drippings then you should use beef broth for the best taste. Add the broth to the flour and drippings mixture right away or the mixture will burn. It helps to keep all of your ingredients on hand while you cook.